Your reception team will welcome you in a nice and pleasant place during your stay in a mobile home or campsite. 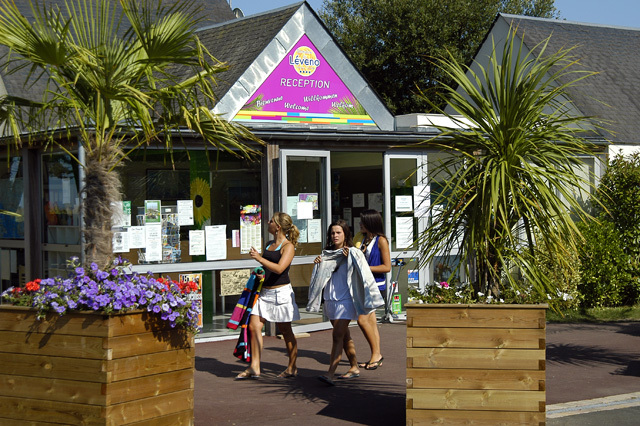 Available and anxious to ensure a quality service, your 4-star campsite Loire Atlantique informs you at any time during your vacation close to the ocean. 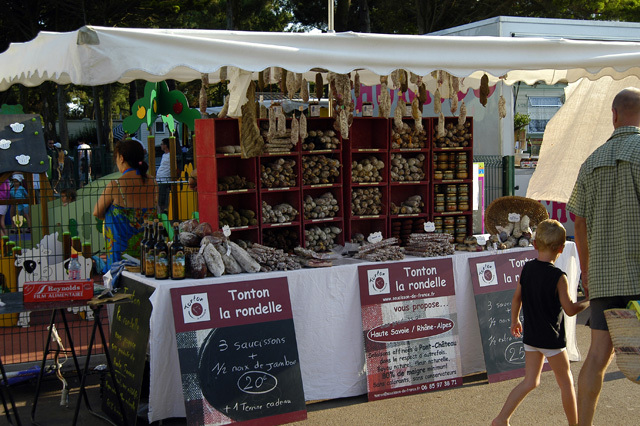 Whether to learn about the various outdoor activities such as diving, horse riding, fishing, surfing and windsurfing; places of tourist interest in the region such as hiking trails, the Brière Park, intimate small coves or sandy beaches; or occasional events like the fireworks on the bay of La Baule or the pyrotechnic festival of Saint-Brévin-Les-Pins; your campsite in the Guérande Peninsula sends you specific documentation and advises you as a tourist office. 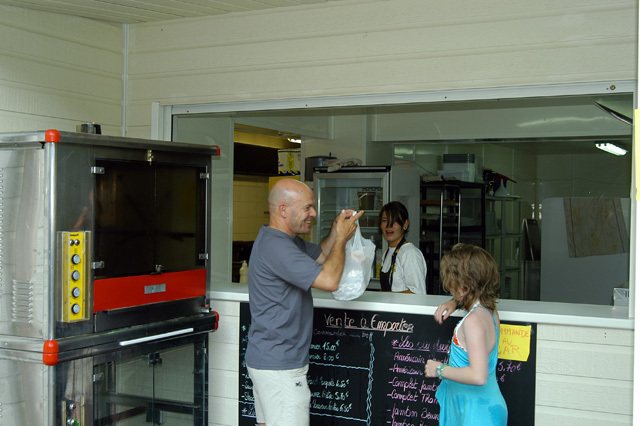 In your camping club Guérande located between the South Brittany and Vendée, we accompany you in all your efforts and research, and we are committed to serving you the best way. Receive and send your mail directly to the reception service. The lifting is done every day and you will find for sale stamps and envelopes. To bring postcards and pay special attention to your loved ones, head to the shop or grocery store at the camping club. Navigate on the bicycle path "vélocéan" and join the cities of La Baule, St. Nazaire, Piriac-sur-Mer, Pornichet, all without taking your bicycles! Bicycle rental is available at the front desk. A laundry service is available to guests. Several washing machines and dryers are installed in the two toilets of your 4-star campsite. Buy your tokens and laundry pods directly from reception. 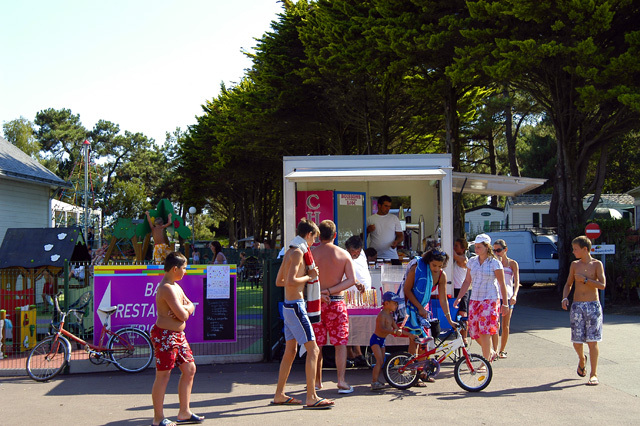 Facilitate your stay close to the sea and enjoy the equipment provided by your campsite 4 stars in Loire Atlantique. For rent, find charcoal barbecues (the only ones allowed on the campsite); baby kits, including cot, high chair, bathtub and stroller; sheets, towels and tea towels. On loan, find board games, balloons, ping-pong and tennis rackets, petanque balls, but also dry hair, vacuum cleaners, iron and ironing boards. A computer with an internet connection is at guests’ disposal during the opening hours of the reception. It is possible to borrow books from the library area, and why not enjoy lying on the sun loungers around the pool. To discover the Guérande region and the surrounding cities such as La Baule, La Turballe and Le Croisic, a wide range of brochures is available from your reception service. Maps and maps are provided so that you can make the most of your visits to the Loire Atlantique. Land of salt to discover the origins and traditions of the salt marshes of Guérande. The Océarium du Croisic for immersion in the marine world with its 1700 m³ of water. The port of all trips with its different visits all more surprising than the others. Several worlds to discover including the submarine "swordfish", airbus planes or the ecomuseum for a trip to the city of Saint-Nazaire, at the edge of the Loire estuary. Jet Évasion, which offers sensational water activities such as jet-ski, towed buoy or flyboard! Enjoy free Wi-Fi on your various connected devices in the bar area and the restaurant area. If you want to have Wi-Fi on your site, a paid offer is available. All information is available from your host team.